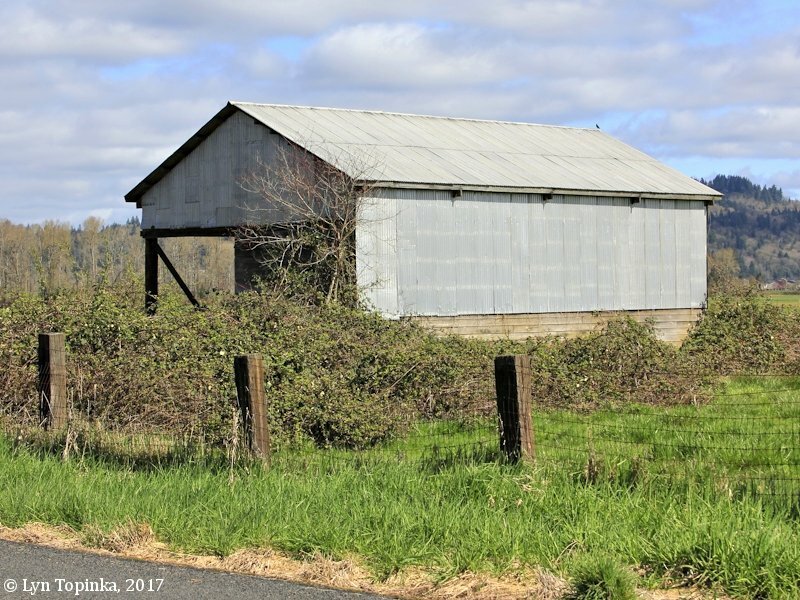 Click image to enlarge Old barn (bunkhouse perhaps ??? ), Barlow Point, Washington. From Barlow Point Road. Image taken April 3, 2017. Barlow Point, Washington, is a small point (cape) located at Columbia River Mile (RM) 61.5. The cape lies just downstream from Longview and upstream of Willow Grove. Walker Island, Oregon lies in the Columbia River across from Barlow Point and Mount Solo rises behind it. Barlow Point was named for an early homesteader, George Barlow. The U.S. Bureau of Land Management's 1863 cadastral survey map (tax map) shows the Donation Land Claim of George Barlow following the Columbia River shoreline and being 326.69 acres of T8N R3W, parts of Sections 26, 27, and 35. The 1860 Federal Census (courtesy "usgwarchives.net") lists the Barlow family: G.W. Barlow, age 55, Farmer, Mary Barlow, age 45, Benjamin Barlow, age 20, Farmer, George Barlow, age 18, Farmer, Mary T. Barlow, age 16, Deacon Barlow, age 5, and Carrie Barlow, age 5. The 1870 Federal Census (courtesy "usgwarchives.net") lists the Barlow family: George Barlow, age 62, Farmer, born in New York, Calvin Barlow, age 14, "at home", born in Washington Territory, and Caroline Barlow, age 14, "keeping house", born in Washington Territory. The 1871 Cowlitz County Census (courtesy Washington State Archives) lists the Barlow family: George Sr. Barlow, "unmarried", age 62, Farmer, born New York, Calvin Barlow, age 15, born Washington Territory, and Carrie Barlow, age 15, born in Washington Territory. 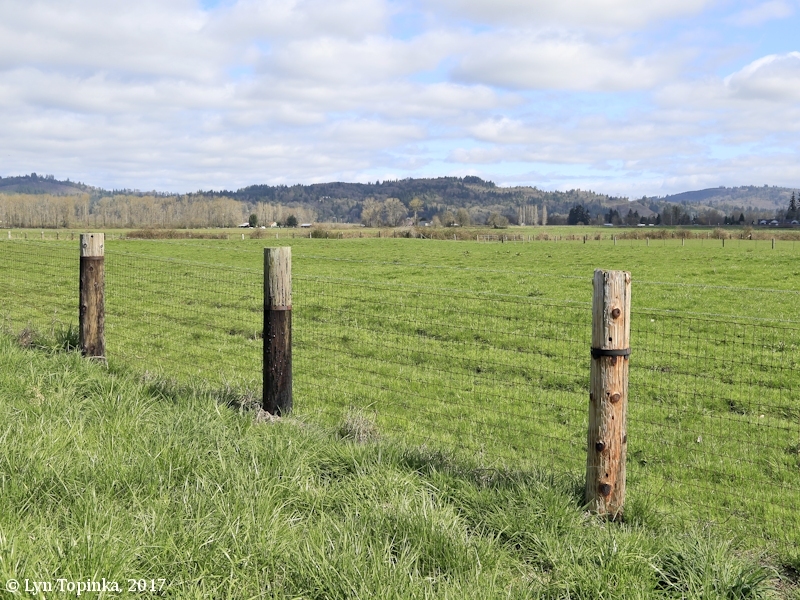 The U.S. Bureau of Land Management's General Land Office Records database (2017) shows George Barlow and Mary Barlow being granted title to 326.69 acres of T8N R3W, parts of Sections 26, 27, and 35, on July 24, 1886 (1850 Oregon-Donation Act). In 1915 the U.S. Board of Geographic Names made "Barlow Point" the official name over the variant "Barlows Point". 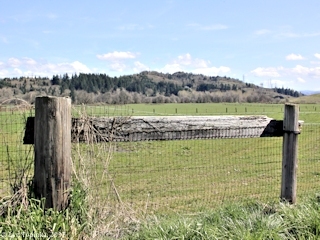 Click image to enlarge Dike (left) and Barlow Point Road (right), Barlow Point, Washington. From Barlow Point Road. Image taken April 3, 2017. 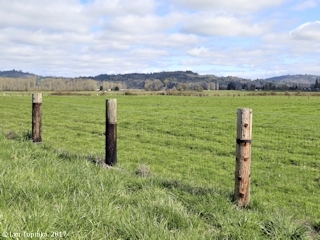 Click image to enlarge Fields, Barlow Point, Washington. From Barlow Point Road. Image taken March 31, 2017. Click image to enlarge Old barn (bunkhouse perhaps ??? ), Barlow Point, Washington. From Barlow Point Road. Image taken March 31, 2017. 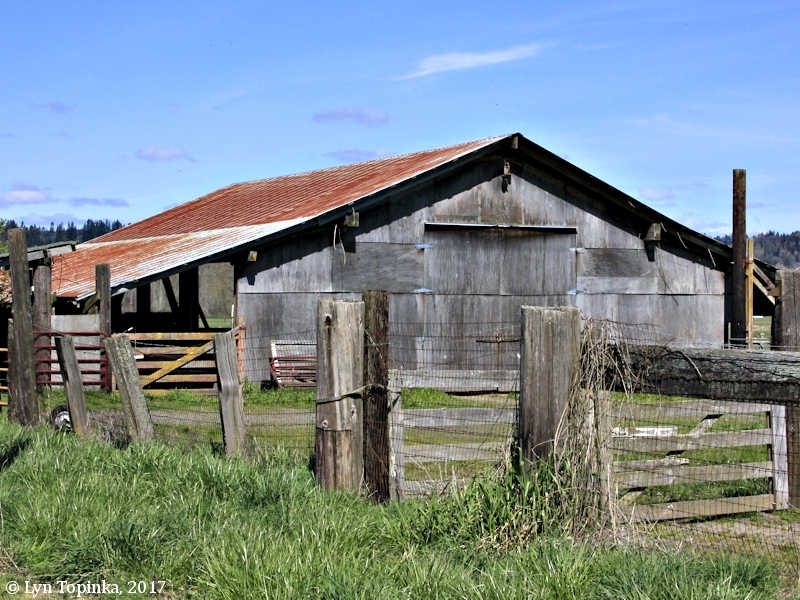 Click image to enlarge Old farm scene, Barlow Point, Washington. From Barlow Point Road. Image taken April 3, 2017. 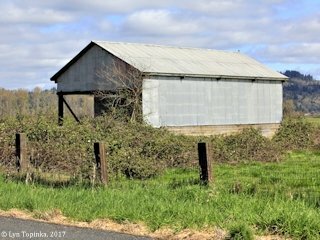 Click image to enlarge Metal shed, Barlow Point, Washington. From Barlow Point Road. Image taken April 3, 2017. Click image to enlarge Metal shed, Barlow Point, Washington. From Barlow Point Road. Image taken March 31, 2017. 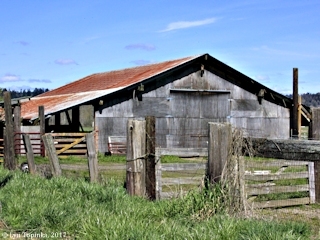 Click image to enlarge Barn, Barlow Point, Washington. From Barlow Point Road. Image taken April 3, 2017. 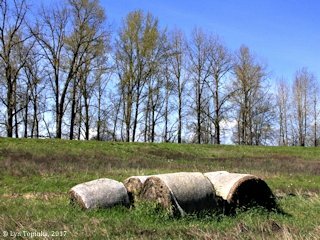 Click image to enlarge Hay bales, Barlow Point, Washington. From Barlow Point Road. Image taken April 3, 2017. Click image to enlarge Daffodils, Barlow Point, Washington. From Barlow Point Road. Image taken April 3, 2017. 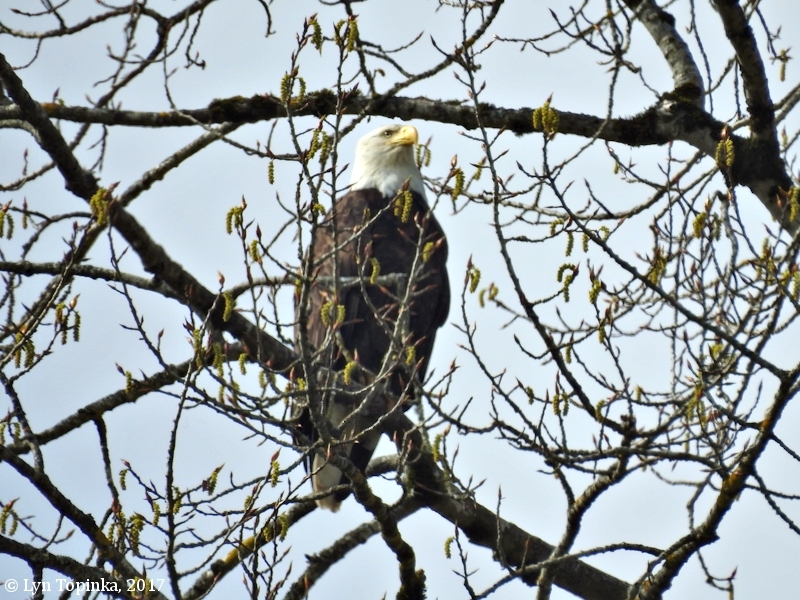 Click image to enlarge Bald Eagle, Barlow Point, Washington. From Barlow Point Road. Image taken March 31, 2017. "George, the son of Samuel, was born in Montgomery county, New York, in 1808. The Erie canal was the scene of his activity in his yout, and he became the captain of one of the boats that plied on that important highway of commerce. From there he made his way to Michigan, where he was employed at the carpenter's trade. 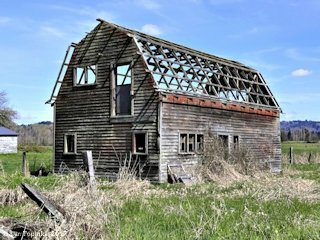 In 1852 he gathered together some of his portable property, and with a wagon and an ox-team set out for Oregon, but it was six months before his eyes were gladdened with the sight of the beautiful valleys of that territory. In 1854 he moved over into Washington and settled on a farm in Cowlitz county, situated on the Columbia river two miles below Mount Coffin. He spent the remainder of his life here, and in 1887, while on a visit ot Portland, died suddenly as he was sitting in his chair. 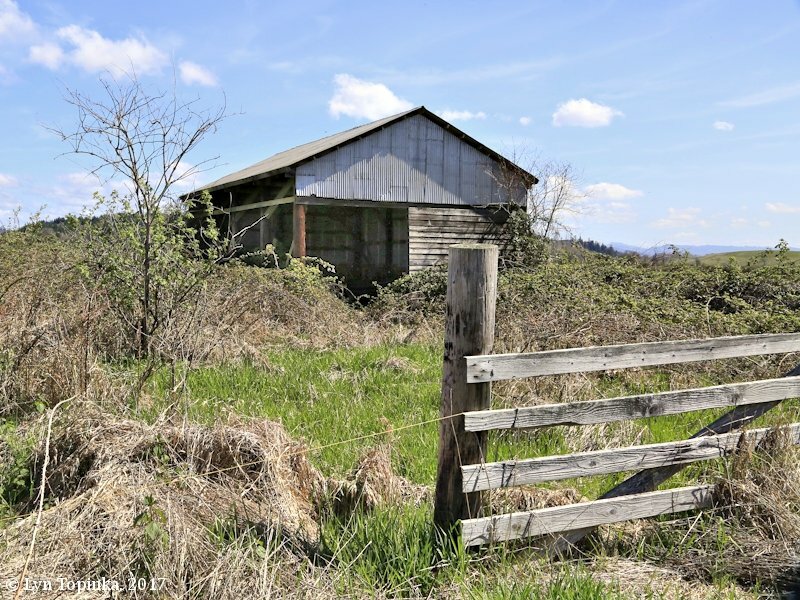 He was married in 1833 to Mary Ann Purdy, who died in Cowlitz county in 1864." Source: William Farrand Prosser, 1903, "A History of the Puget Sound Country, Its Resouces, Its Commerce and Its People": Lewis Publishing Company, Puget Sound. Courtesy "barlowgeneology.com" website, 2017. Some information re-organized for this webpage. This family descends through George Barlow of Sandwich Massachusetts. This work is done primarily from the research of Edson Barlow, news articles and photographs, contributed by John F. Barlow. George W. Barlow, Gs-416, was born in 1808 probably at Duanesburg, Schenectady Co New York, and was a son of Nathan and Lucy (Sheldon) Barlow, Gs-067. He was a farmer and was listed at Plymouth Township, Wayne Co Michigan, in the 1840 and 1850 censuses. He was recorded in Cowlitz Co Washington, in the 1860 census. From Barlow and Allied Families: George Barlow was a Captain on an Erie Canal boat. From there he went to Michigan where he worked at the carpenter trade. After he was married, he settled on a farm near Plymouth, Michigan. 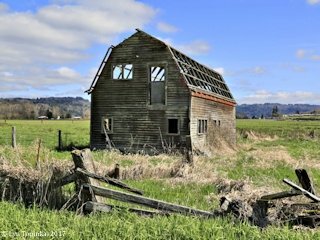 In 1852 the family moved to Oregon, making the journey by ox team, and in a letter dated Portland, Oregon, December 31, 1854, he says they were seven months lacking six days on the way, and their baby died before they reached their destination. They paid $22 per barrel for flour, $20 for pork, $16 for beef, and potatoes $2.50 per bushel. 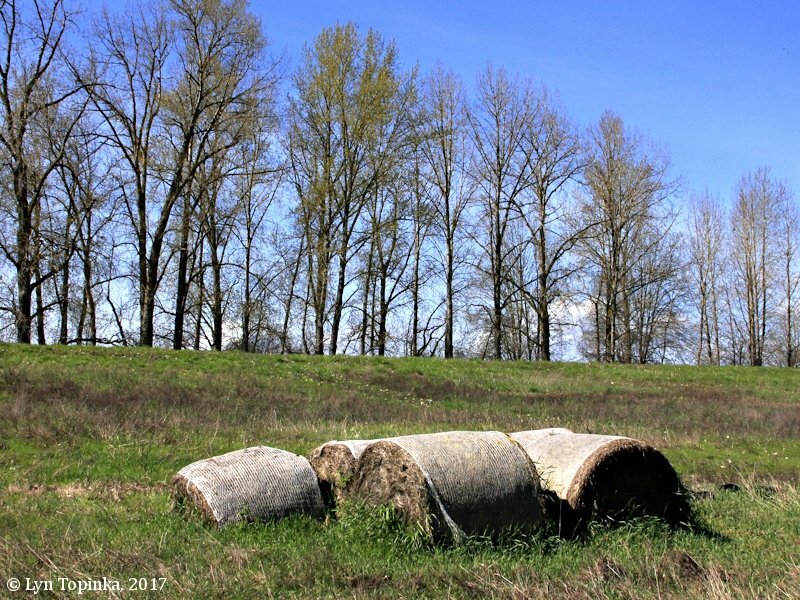 They finally settled on a farm in Cowlitz Co Washington, on the Columbia River. George W. Barlow married Mary Ann Purdy on May 01, 1833. She was born on November 29, 1813, she died on January 04, 1864, and was buried in the Catlin Cemetery at West Kelso, Washington. Elizabeth Barlow was born in 1834 and died in 1846 probably at Canton Township. Harriet Louise Barlow, Gs-457, was born in 1835 probably at Canton Township [C1850] and died in 1907. Byron Barlow, Gs-458,was born in 1839 probably at Canton Township [C1850]. He was recorded with his parents at Canton Township in the 1850 census. 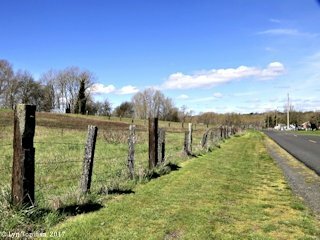 Byron Barlow crossed the country with his parents in 1852 and settled with them in Cowlitz Co Washington. In the 1860 census he was recorded as a merchant, living in a hotel, Rainier, Columbia Co Oregon. He was born in Plymouth, Mich., in 1838, and at the age of 15 crossed the plains and located in Cowlitz county ... (The Tacoma Daily Ledger, July 6, 1914). Benjamin Barlow, Gs-459, was born on October 15, 1840, probably at Canton Township [GR, C1850]. He was recorded with his parents at Canton Township in the 1850 census and at Oak Point, Cowlitz Co Washington, in the 1860 census. 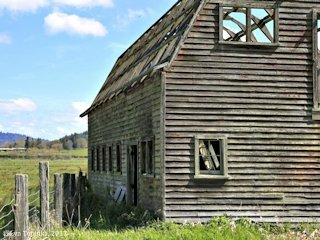 He later lived at Kelso, Cowlitz Co Washington. He died on October 31, 1919, and was buried in the Catlin Cemetery at West Kelso. Benjamin Barlow was born in Plymouth, Wayne county, Michigan, October 15, 1840, and came to Oregon by ox-team with his parents in 1852. In the fall of 1854 the family settled on the Columbia river below Coffin Rock, where his father took a Donation Land Claim, which has been in the Barlow family ever since ... (The Kelsonian, November 1, 1919). George W. Barlow Jr., Gs-460, was born in 1843 probably at Canton Township [C1850]. He was recorded with his parents at Canton Township in the 1850 census and at Oak Point, Cowlitz Co Washington, in the 1860 census. Mary Therese Barlow, Gs-461, was born on October 21, 1844, probably at Canton Township [C1850], and died on January 08, 1926 [HA]. She married first a Mr. Argersinger and second Robert W. Downing. She lived at Vancouver, Washington [HA]. COUNTY PIONEER CALLED BY DEATH. Mrs. Robert Downing Dies at Vancouver; Was Member of Historical Society. 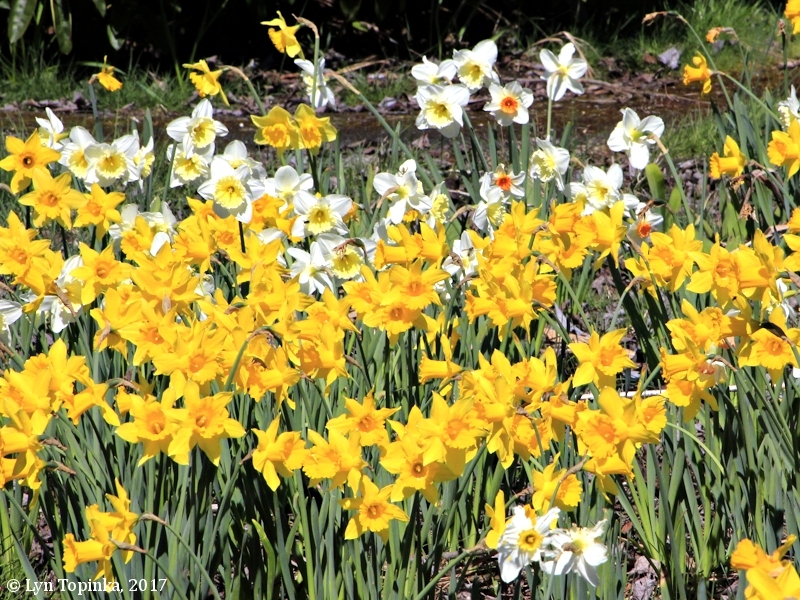 Mrs. Robert Downing, whose parents were Mr. and Mrs. George Barlow, pioneers of this locality, passed away this morning at her home in Vancouver, Wash. She was an aunt of Mrs. Charles Olson and E.B. and B.L. Barlow of Kelso. She was born in Detroit on October 21, 1844. 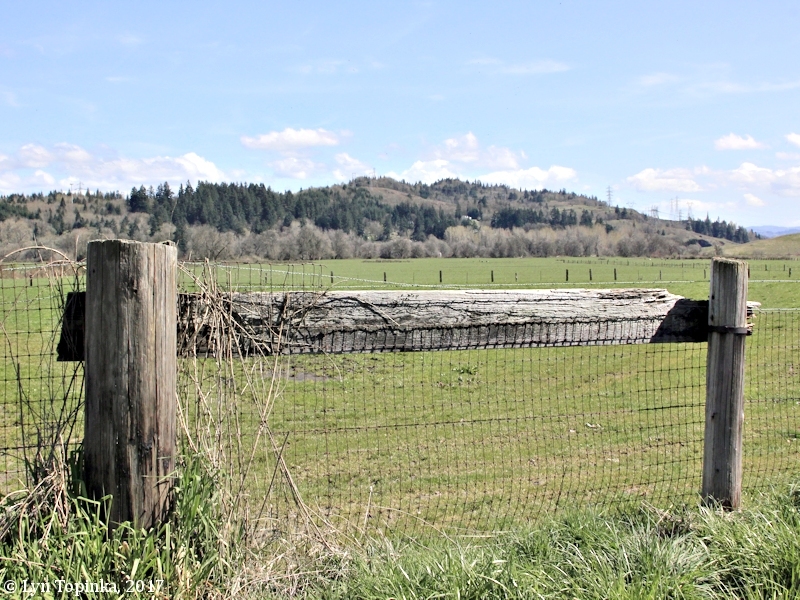 The Barlows crossed the plains in 1852 and took up a donation land claim below Mt. Coffin two years later. 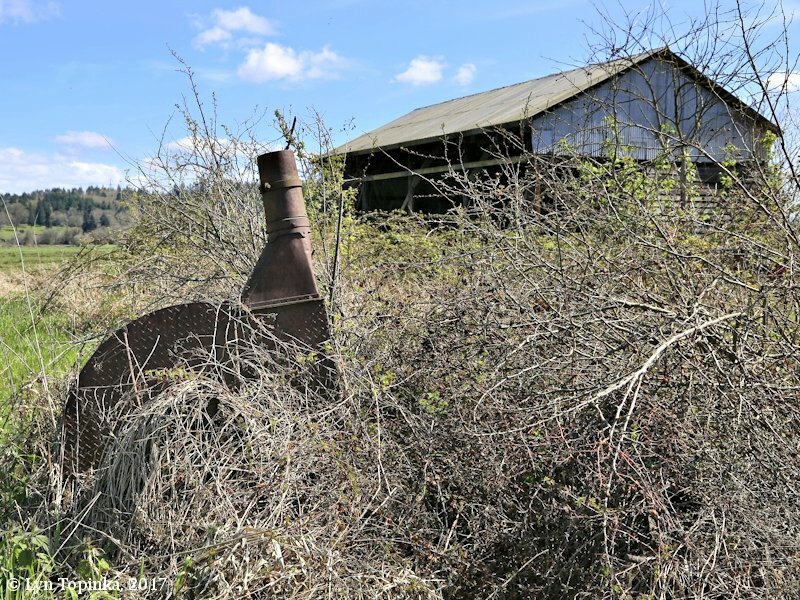 The land was owned by the Barlow family until three years ago when it was purchased by the Long-Bell Lumber company. Mrs. Barlow was one of seven children, and the last to pass away. For the last 40 years she had lived with her husband in Vancouver. They had no children. When the Cowlitz County Pioneer and Historical society was organized in Longview last summer she was among those in attendance despite the fact that she was crippled as the result of a paralytic stroke until about three years ago. She is the second of the charter members of that society to die. Eugene McCorkle of Lexington was the first called. Aside from her Kelso relatives, the widower, four nephews, Representative George Barlow and Russel, Douglas and Allen Barlow, and a niece, Miss Jessie Barlow, all of Tacoma are the nearest survivors. Funeral services have not been announced." Lewis Cass Barlow was born in 1850 probably at Canton Township, and died in 1852 while the family was crossing the plains on their way west to Washington [HA]. Edson shows Lewis is buried in Montana, but I have been told there were no trails through Montana at this time. Calvin S. Barlow, Gs-462, was born in 1856. He was recorded with his parents at Oak Point, Cowlitz Co Washington, in the 1860 census. He died April 05, 1920 in Tacoma, Washington. Calvin S. Barlow was born on the Barlow Donation Land Claim on the Columbia river west of town in 1856, being a son of [George Barlow] pioneers of the Cowlitz valley, who came here in 1852. Mr. Barlow's brother, Benjamin Barlow, passed away at his home here last fall. The only surviving member of the original Barlow family is a sister, Mrs. Robert Downing of Vancouver ... (The Kelsonian, April 7, 1920). Carrie Adaline Barlow, Gs-463, was born in 1856 and died on September 12, 1906. Click image to enlarge Mount Solo from Barlow Point, Washington. From Barlow Point Road. Image taken April 3, 2017.